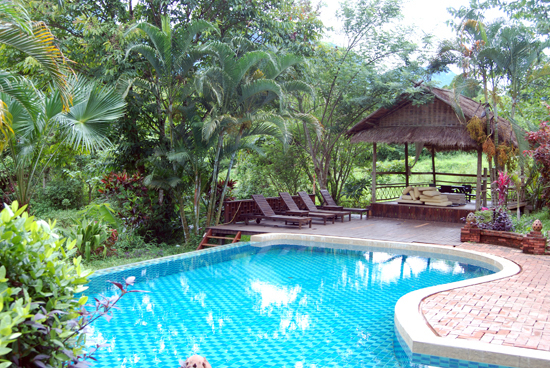 You don’t have to travel far from Luang Prabang to feel like you’re off the beaten track and to experience nature. Hillside Nature Lifestyle Lodge is only 30 minutes from town. It’s a laidback rustic retreat in the mountains. It also has a few lux touches like a swimming pool and a lovely restaurant to make this an enticing Luang Prabang getaway. Average rating 8.6 from 111 reviews. Cool off in this countryside getaway. Hillside has just eight bungalows and one family room. 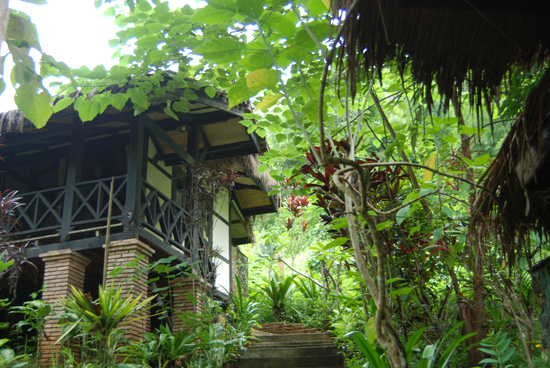 The wooden bungalows are small, solidly built but still feel quite rustic. Each has a balcony, fan, electricity and a plain ensuite bathroom with an outdoor shower. The front glass windows bring the outside in. The bungalows are definitely not as nice or spacious as those at Zen Namkhan Resort, but then again, Hillside is half the price. What’s really appealing about the resort is being surrounded by greenery, the pleasant view and the opportunity for day hikes. It’s quiet, and that’s what guests should come for. The resort can arrange for village visits, biking tours or suggest walks, including one to a small hidden waterfall and an organised trek to Kuang Si, the bear sanctuary and the butterfly park. Email the hotel to inquire about packages. Soak up the view from the swimming pool or the restaurant, which has floor-to-ceiling windows and balcony. The restaurant’s small menu offers both Lao and European food and it’s tasty, fresh and reasonably priced. Nature lovers can find their happy place. Getting to Hillside is half the fun. 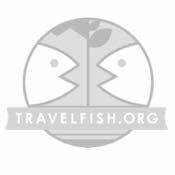 The conventional way: a shuttle to/from Luang Prabang can be arranged for only 25,000 kip. Don’t hire your own tuk tuk as it’s a steep uphill ride on bumpy dirt/muddy rural roads. Active, adventurous guests can hike there via Tad Thong Waterfall. Get a tuk tuk to drop you off at the falls, then hike through the forest to the Khmu Village as indicated on the trail map – the village is two kilometres down the road from the resort (let them know in advance about your plans). If conditions are dry enough and you have experience on a motorbike, rent one and drive yourself. You’ll be rewarded with a stunning scenic ride, plus this would give you the freedom to explore the surrounding countryside and viewpoints during your stay. High season runs October 1 to March 31. Fan bungalow sleeps four. High season runs October 1 to March 31. 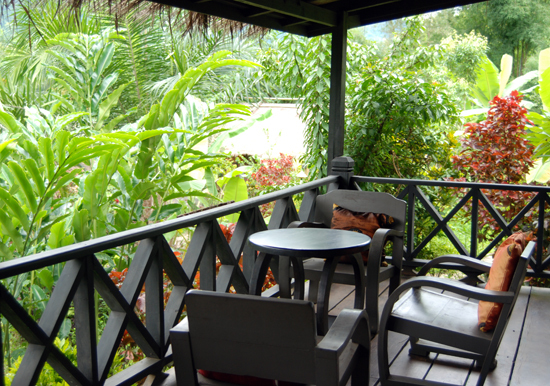 Room: Bungalow fan private bathroom, low season: US$55, high season US$65. Notes: High season runs October 1 to March 31. 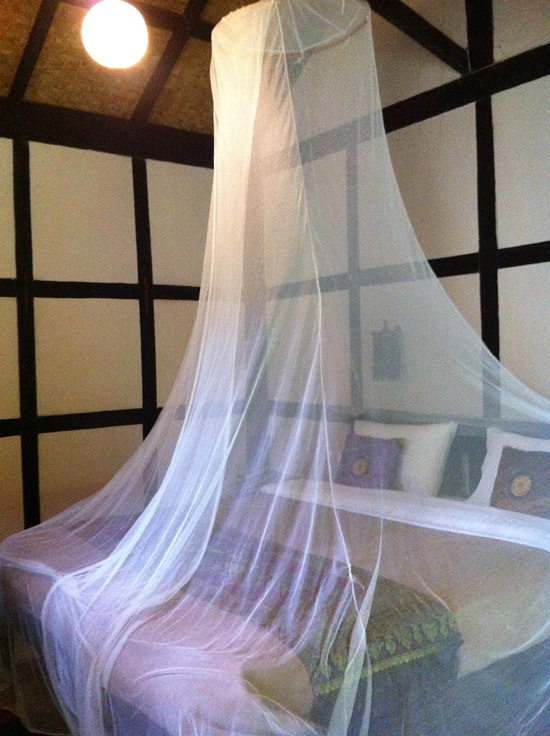 Room: Family room, low season: US$75, high season US$90. Notes: Fan bungalow sleeps four. High season runs October 1 to March 31.